We have a rental car for any occasion here at Germain Toyota of Columbus. Whether you need a vehicle for sightseeing on vacation, a business trip out of town or while waiting for your current vehicle to be serviced, we have an incredible selection of quality Toyota models available to rent. Our vehicles feature premium materials to provide endless comfort, advanced technology features to keep you both entertained and protected and all the power you need for any adventure. If you would like to learn more about our Toyota Rent a Car program or would like to check out the models available for rent, feel free to give us a call or visit us at Germain Toyota of Columbus in Columbus, OH today. If you’re still not sure after your test-drive, rent it to see if it’s the right vehicle for you. Don’t miss a beat when your car is in the shop. Rent a Toyota today. Need body work done? Rent a Toyota today and stay on schedule without interruption. At this time, the vehicle must be returned to the Toyota Rent a Car dealership where it was rented. Contact us to learn about off-site pickup services. We have a wide variety of the latest models available for rent. Feel free to contact us for information on our available models. Absolutely. Most Toyota Rent a Car vehicles are available to purchase after their short four-month service period. Yes. You must be at least 21 years of age to rent a Toyota vehicle. You need a valid driver’s license and a major credit card in your own name to rent a vehicle in the Toyota Rent a Car program. Proof of full coverage insurance may be required at the time of rental. A valid license from the Renter’s state of residence or country of origin is required (i.e., must not be expired, must not have any restrictions). An International Driving Permit or license is acceptable but is not required. A military license is acceptable as long as it is accompanied by the Renter’s state of residence license, as well as proof that the Renter is on active duty. A Learner’s Permit is not an acceptable license. A temporary license, permit or application for a Driver’s License may be acceptable. Always check with your local Department of Motor Vehicles to verify that such paperwork is valid and has not expired. Some states will hold a Driver’s License after a ticket has been issued by police. This ticket is not acceptable as a license. No matter which model you’re interested in renting, we’ve got you covered with our large selection of Toyota cars, spacious SUVs, rugged trucks and efficient hybrid models for you to choose from. We look forward to assisting you with the rental process and finding you the perfect Toyota Rent a Car that fits your needs and lifestyle. 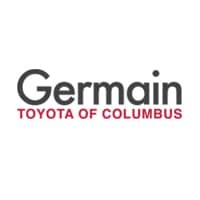 If you would like to learn more about our rental service in Columbus, OH, feel free to give us a call or stop by Germain Toyota of Columbus today. We look forward to serving our customers from Columbus, OH, and from Reynoldsburg, Pickerington and Columbus.